Ulaanbaatar City Tours and Local Experiences from Local Guddy Historical and religious spots stand there to explain their own stories. WALKING TOUR will include highlights of UB city and interesting facts and non-popular corners. Itinerary can be fixed depending on your schedule and interest. 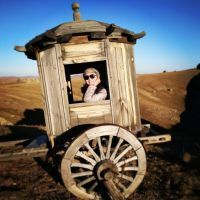 Planning a travel to Ulaanbaatar? Login to create your trip plan so the guddies can offer you their tours! There are no travelers coming to Ulaanbaatar yet.